There's always a lot of "Dad Slamming" on the internet and social media which reinforces outdated stereotypes, there is also a lot of positive stuff out there. One I stumbled across was this campaign to get fathers reading to their children everyday and I thought it was a great idea. I was always read to everyday as a child, a bedtime story is an essential part of the day when you're growing up, but if you're not brought up with that then you don't realise how important it is. Five minutes spent reading a story each night is shown to have a huge impact on how children learn to read and I should imagine it encourages a love of books that will roll on into adulthood. Fathers Reading Every Day is a really simple programme that encourages dads to read with their children at home. It changes lives. Its effects are most powerful among children from disadvantaged backgrounds – and it’s brilliant with boys especially. We’ve set ourselves the goal of bringing FRED to 200 schools and children’s centres, reaching over 6,000 children, this year. We’ve already trained schools in London, Greater Manchester, Wolverhampton, Bradford and Rochdale. By telling your local school about FRED, donating in honour of Father’s Day (19 June 2016) and sharing a photo of yourself or a much-loved dad reading, using the hashtag #DadsReading, you could help us reach even more. Too many kids lack a supportive learning environment at home – and getting dads reading is a vital part of changing that. Children whose dads read to them from an early age, do better…and FRED has been shown to have a huge impact on reading, writing and even maths. In fact, researchers found that children who took part in FRED were four times as likely as those who did not, to make greater-than-expected progress in reading! We love reading in our household and if I could get away with just reading one book a day to my children it would be a miracle! We often say that we know when a guest has "made it" in our house when the girls bring them a story they want reading. My favourite story to read the children. I know it off by heart from reading it hundreds of times but I still love it. 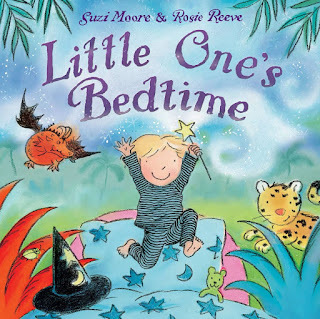 "It was late at night and time for bed, the clock was ticking when somebody said..."
I think encouraging more people to read stories to children in this age frequently filled with tablets and smart phone is a great idea. What's your favourite bedtime story? I had the same thing growing up, I have no recollections of being read to growing up, it was a rarity if I could get an adult to spend enough time with me so I could read to them outside the school environment. Despite that, I consider myself lucky to have developed a love of books which I am trying to pass on to my girls. Our son loved The Pobble Who Has No Toes and we would have to read it four or five times before bed. Even now I remember parts! There are so many! When the children were very small, it was "Goodnight Moon", then, later, "Green Eggs and Ham," and now, "The Book with No Pictures"
I only had two rules when my children were small. They would have a bedtime story EVERY night, and we all sat together around a pukka dining table for meals.